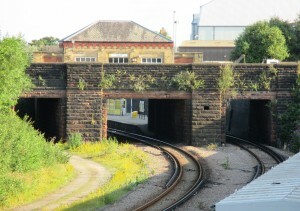 Looking towards Bank Hall Station which is just beyond the road over-bridge. 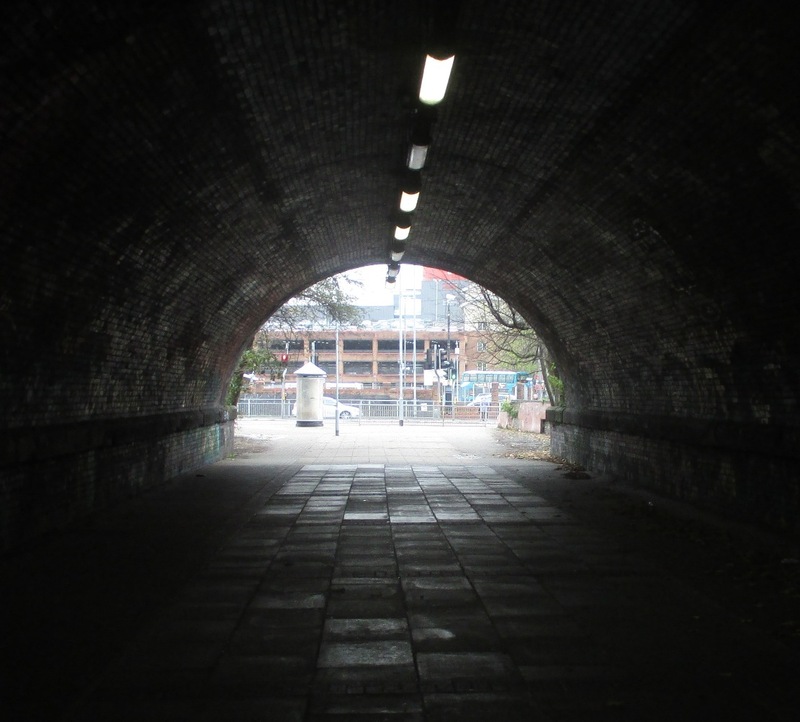 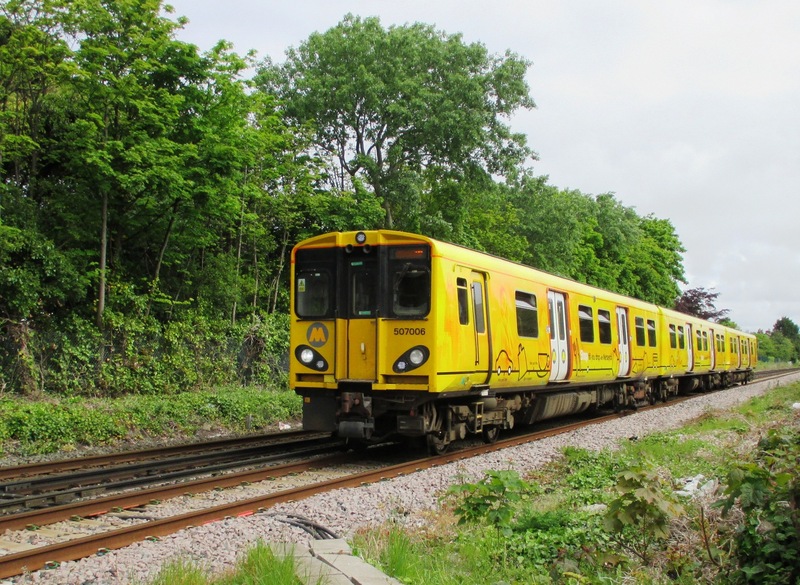 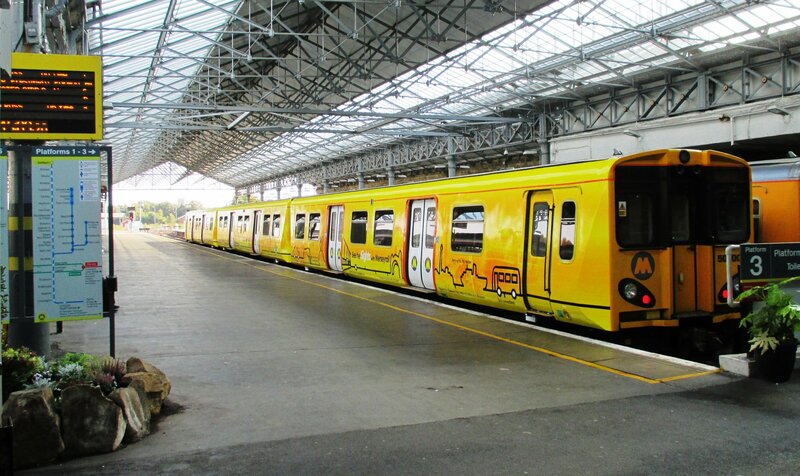 This former railway tunnel once took a railway line under the Liverpool – Southport line at Bootle Strand Station. It is now a pedestrian walkway with the Strand Shopping Centre car park visible through it. A Class 507 EMU arriving at Formby Station from Liverpool. 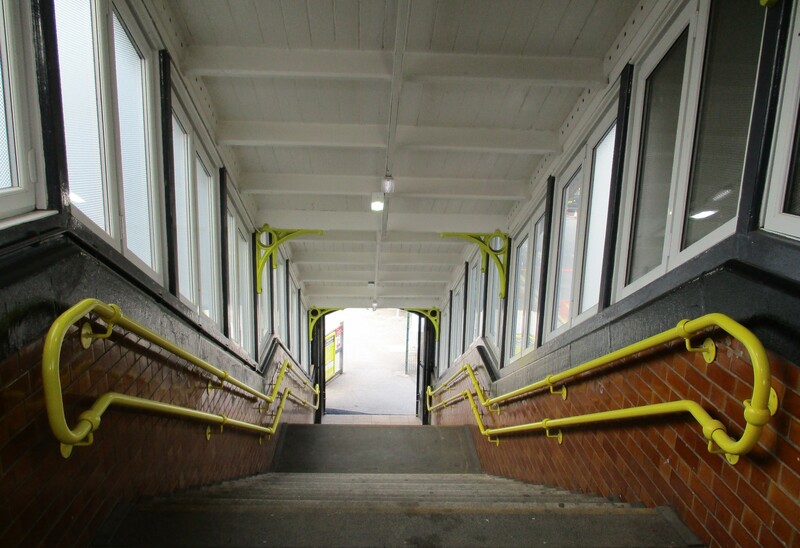 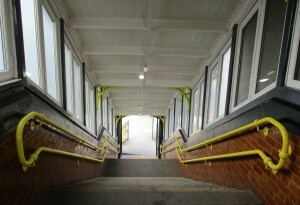 Steps down to the platforms at Formby Station. 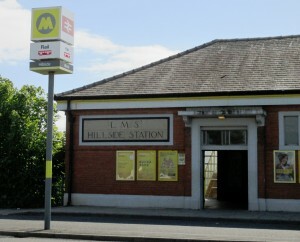 Hillside Station clearly showing its LMS history. 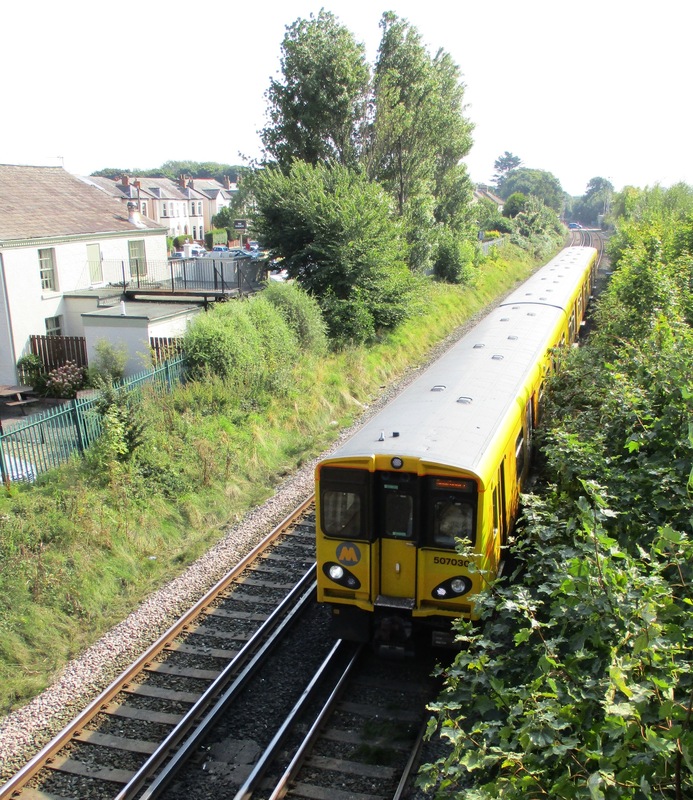 A Liverpool bound 507 EMU approaching the Crescent Road level crossing in Birkdale, Southport. 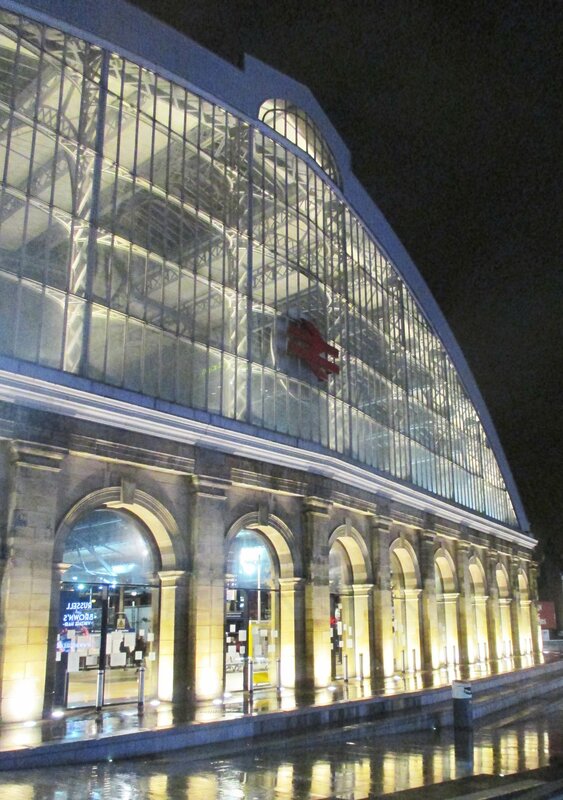 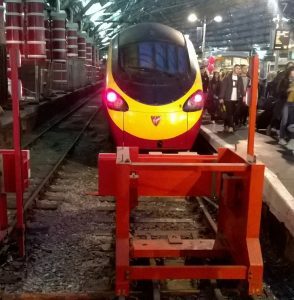 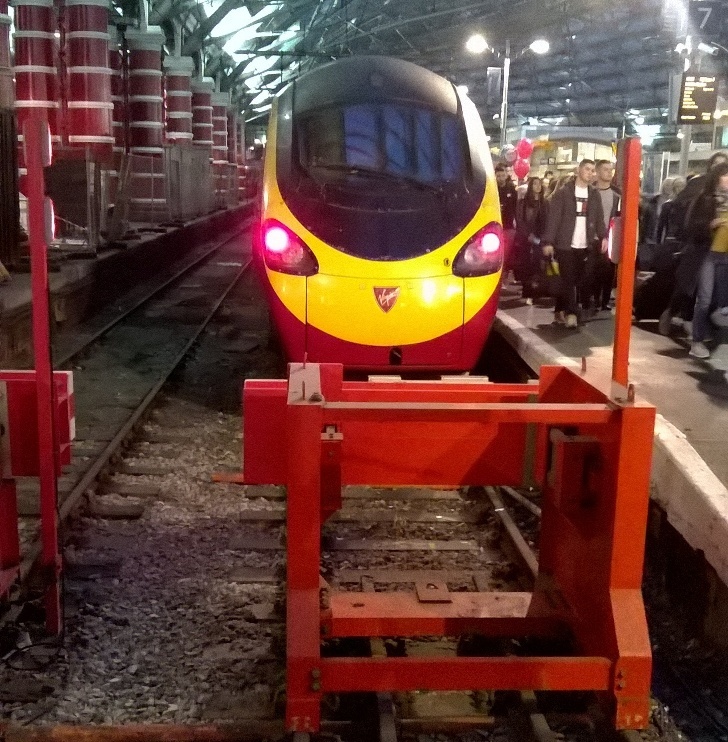 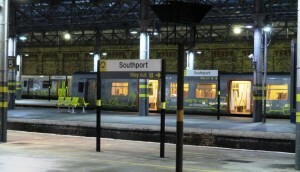 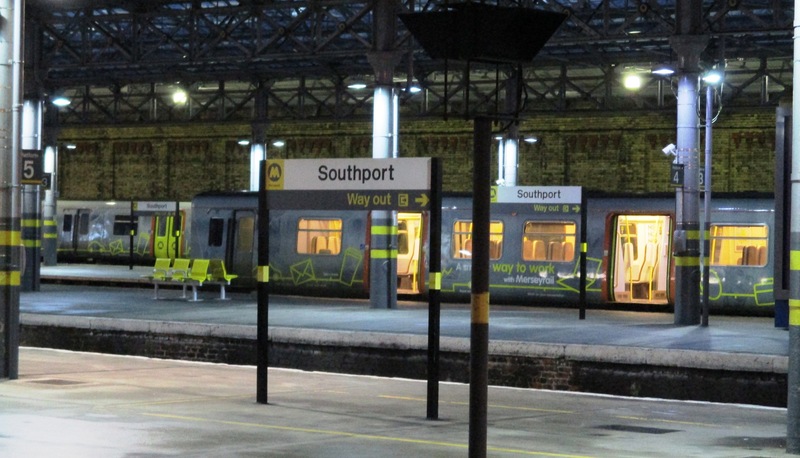 Southport Station at night with a 507/508 EMU awaiting to depart for Liverpool.